John’s Lumber can come to your home and help you with field measurements, design and layout to properly fit to the job. This will permit us to customize kitchen and bath cabinets to fit your exact needs. John’s Lumber has a showroom full of design ideas containing more options, colors, species, as well as all the accessories to complete your design ideas. Choose your moldings, plate rails, lazy susans, tilt-out trays and other organizers to make your life easier. As busy Metro Detroit families find less and less time to do all the things a normal week brings, many are finding it easier to complete necessary improvements around their homes with help from John’s Lumber. Now John’s Lumber is not only your source for the new fixtures for your home, office, cottage and garage, but John’s Lumber has a professional staff that will help you with all the details of remodeling and construction. The first step is to visit either John’s Lumber showroom. You may call ahead to set up an appointment if you wish. Call 586-791-1200 at the Clinton Twp store and ask for a Sales Representative. Jerry Trombly will be pleased to assist you with your ideas and questions. Call 586-739-6700 at the Shelby store and ask for Susan Dehaven or Mike Courtright. They have over 65 combined years of experience in the home improvement business. If you are looking to remodel your kitchen or bath, you will find a spacious showroom full of designs from many of America’s leading manufacturers like Pioneer, Omega, Mid-Continent and Merillat. Choose from a large variety of species, doors/styles, stained colors, and glazes. We can do custom or standard sizes for your kitchen and bath needs. 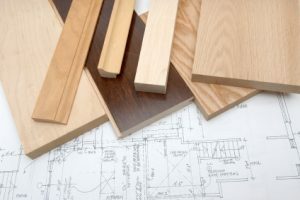 Once you have settled on a plan, John’s Lumber will provide you with a date for the delivery of your project. Best of all you’re doing business with a local company that has been in business for 65 years. John’s Lumber may have furnished the lumber for your home when it was built. Their reputation is impeccable, and the Aggeler family, which owns John’s Lumber, are in the stores everyday. You have Paul Aggeler’s word on all the work they do, and he’s the president of the company! Whether you already have a remodeler or builder, or just want to see the full line of professional cabinetry, hardware, sinks, faucets . . . you name it; you’ll find it at John’s Lumber. It’s probably where your builder or remodeler shops for his or her supplies in the first place. John’s Lumber also specializes in a full line of wood trim, columns, door and window hardware, mantels and more. Not just a few designs like you might find at the home improvement warehouses, but ALL of the designs from the top manufacturers in the United States. Select the style you want, don’t settle on a design or two that you might see elsewhere. Your front door sets the style and tone for your beautiful home. You will want to see the full selection from fine manufacturers specializing in windows and doors that are perfect for our Michigan climate. John’s Lumber can supply your building and design needs. 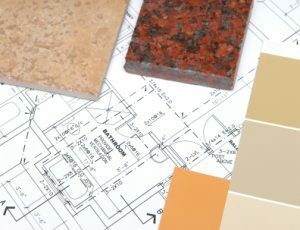 In addition, the John’s Lumber Professionals can layout any size addition, beautiful basement and professionally design decks. If you want to add real style to your home, visit our showrooms full of unique interior trim and doors and gorgeous stairway systems. John’s Lumber designers can handle insurance repairs too. John’s Lumber is your one-stop home improvement store. Our family approach to the building business has helped us grow to two locations serving all of the East and North sides of Metropolitan Detroit. Our fleet of red trucks supply the needs of the area’s biggest and most successful builders and remodelers. John’s Lumber wants to help you too. It’s worth a call or visit. You won’t be disappointed. Johns lumber provides accurate blue print take off service. Using a state of the art, computer aided take off system, nothing is overlooked. Need new windows, doors, siding, or roofing. Contact us and we’ll come to your place and give you an estimate for the complete job. It doesn’t get any easier or more accurate than that! With your dimensions and a basic idea, we can accurately estimate the price of a new deck or re-covering your old deck. Because of all the material options available, this is best done at the store. Some jobs don’t have blueprints. John’s can still help. Tell us what you’d like to build and we’ll provide you a ballpark estimate. John’s lumber provides accurate blueprint take off services. Using a state of the art, computer aided take off system, nothing is overlooked. This thorough process starts from the ground up. Reviewing foundation plans, verifying beam locations to ensure proper sizing of floor framing members. Detailed CAD drawings map out the installation process of all engineered I-joist floor systems. Wall frame construction is reviewed for proper wall heights and sheathing material. Special consideration is given when reviewing for window & door openings to properly size header materials. All components are engineered for proper roof & floor loads for industry specifications. These are just of few steps involved in the take off process. From your blueprint our experienced staff can generate a comprehensive list of material to complete your project. Need new windows, doors, siding, or roofing? Contact us and we’ll come to your place and give you an estimate for the complete job. It doesn’t get any easier or more accurate than that! With your dimensions and a basic idea, we can accurately estimate the price of a new deck or re-covering your, old existing deck. Because of all the material options available, this is best done at the store. Decking, rail systems and other detail oriented items can change the estimated price. Stop by, pick out what you like and we’ll figure the materials and estimate the cost for you. A complicated process made easy. It’s what we do! Some jobs don’t have blueprints. John’s can still help. Tell us what you’d like to build and we’ll provide you a ballpark estimate. As the plans and ideas evolve, we’ll keep getting closer to a more exact list of materials and price. We’ve done it for many years. You can trust our expertise. Our reputation depends on it and we live by it.